This month, fourteen RePublic High School students and three chaperones traveled to the Dominican Republic to volunteer with Courts for Kids, a non-profit that partners American volunteers and international communities to build multi purpose courts in developing countries. 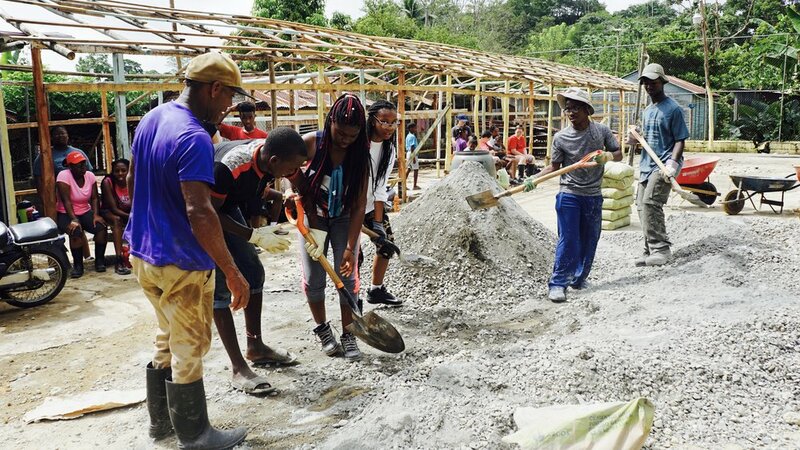 RePublic students volunteered in La Parcela, a small rural community in the Monte Plata province. Prior to the Courts for Kids project, the community's court had fallen into disrepair. 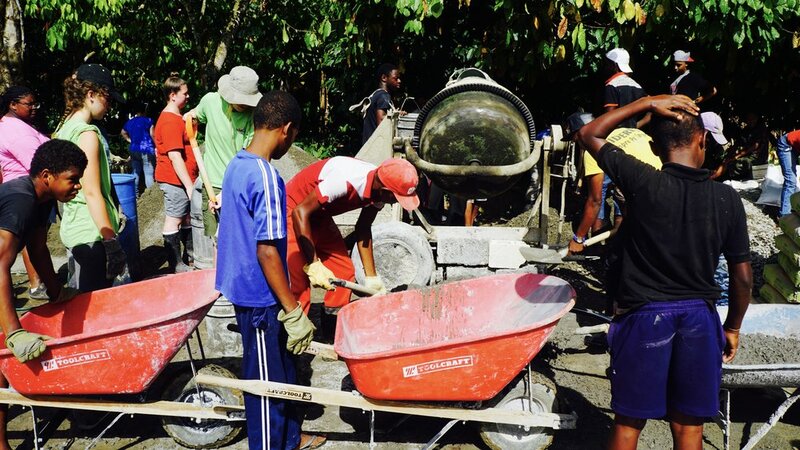 RePublic students worked alongside community members prepping land, mixing concrete, and pouring concrete in order to redo the court. Courts for Kids has a dual focus on building courts and facilitating cultural exchange. 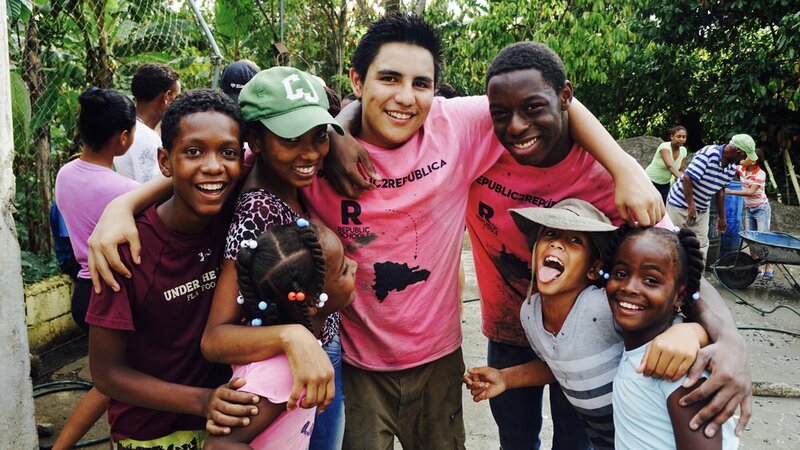 RePublic students lived and worked alongside Dominican students. In our downtime, we swam in the river, played volleyball, hiked for mangoes, practiced our Spanish, and enjoyed local Dominican cuisine. A trip like this would not be possible without the support of the broader RePublic community. Thank you to everyone who donated to the trip or participated in group fundraisers - we are so grateful for your support. We'd also like to thank Natalie Roling, our fearless Courts for Kids leader, Sam Leff, the Peace Corps volunteer who helped to facilitate the project, Chris Cobb, who worked diligently with our team prior to departure, and the wonderful students and adults from the Institute of Notre Dame, whom we had the privilege of working alongside. On the last night of the trip, students reflected on what this trip meant to them and what they learned during their time in La Parcela. We've included some student quotes below, in addition to pictures (click on the picture to scroll through the album).